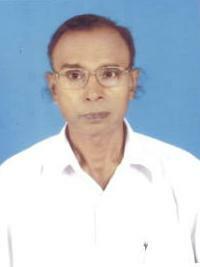 The web developer, Mr. Doman Singh was born in the year 1948 in a middle class farmer family at Village - Irki, P.S. - Belaganj, District - Gaya in Bihar (India). His father's name was Shri Shukhdeo Singh and that of mother Late Fudaki Devi. The name of his grandfather was late Saudagar Mahto. The family of Mr. Singh is the follower of Sant Dariya for more than four generations. 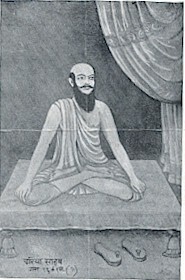 Late Sant Jagan Das, who was Mahanth of Mirjapur Mattha, was own maternal uncle of Mr. Singh. Mr. Singh is a Graduate in Metallurgical Engineering from B.I.T Sindri (Dhanbad). Thereafter, he did his Diploma in Management from All India Management Association, New Delhi. He has studied Hindu Scriptures and Buddhism in great depth. He has dedicated himself to propagation of the teachings of Sant Dariya Saheb. He has set up a SANT DARIYA MISSION and a full-fledged library on Sant Dariya at Anand Vihar, Road- No 2, Patna-800 014 (India). He is Life Member of Indian Institute of Metals.